Pour raspberry vodka in red test-tube shot glass, mango in orange, citrus in yellow, key lime in green, blueberry in blue, and grape in purple. 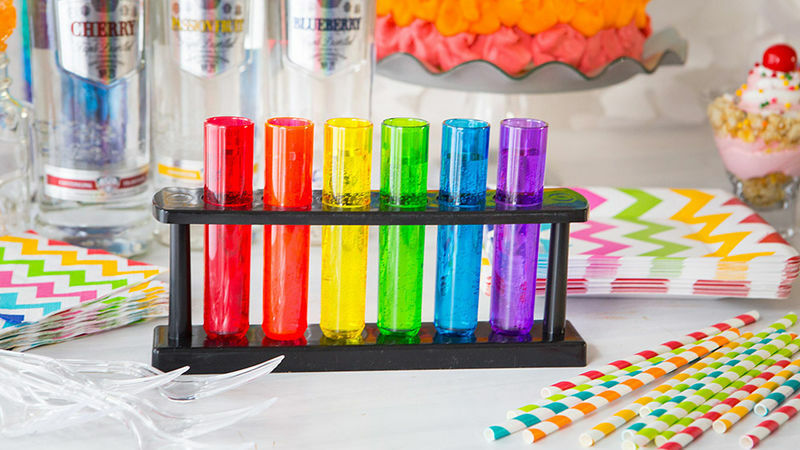 To serve as shown, find colorful test-tube shot glasses online or at specialty stores. Any flavored shots or vodkas can be served in this way, but it's fun to match the color of the glass to the flavor of the drink.